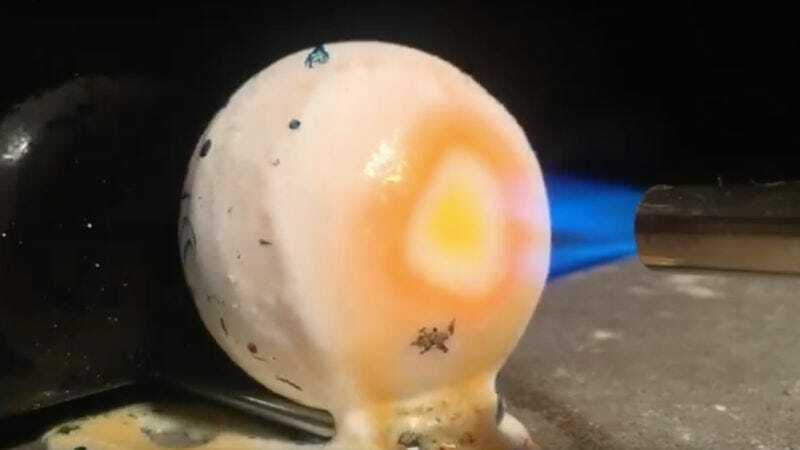 There’s something really satisfying about watching things melt. Whether it’s a golf ball or a piece of metal or your little brother’s G.I. Joe, it’s hard to beat watching something dissolve into a pile of goo. The folks at Let’s Melt This know that. In fact, they’ve dedicated a whole YouTube channel to the simple joy of melting things. As if that wasn’t great enough, they’ve also created a greatest hits compilation of their most successful melts, including such classics as a rubber ball, a styrofoam cup, a pile of crayons, and a fork. It’s both beautiful and weirdly captivating. Just don’t be so inspired by the video you try to replicate it at work. Employers don’t understand the beauty of melted things.